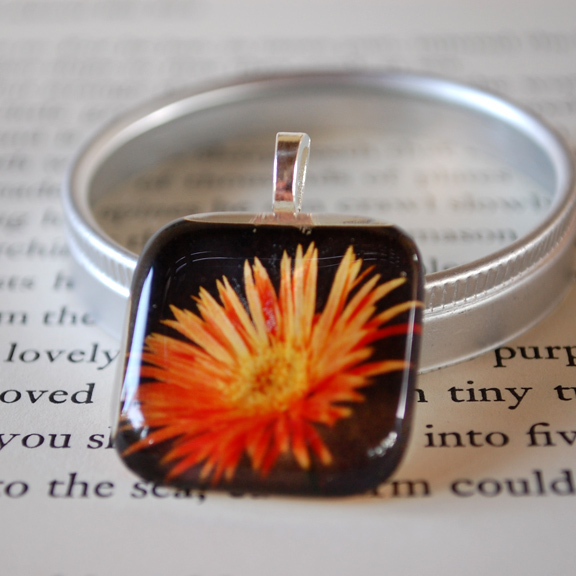 I create these lovely pendants with handmade glass tiles and miniature versions of my photographs. This 1" x 1" tile features my Coming Up Daisies photograph, is finished with a silvertone Aanraku pendant bail and comes complete with a silvertone ball chain cut to the length of your choice. View dozens more of my glass tile pendants in my Etsy shop.